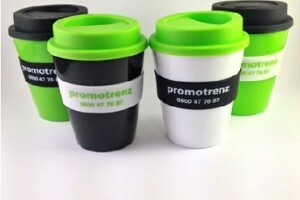 Promotrenz is a NZ based & owned company providing all your branding requirements in apparel, corporate gifts and promotional products and printing. The company directors are Lisa & Michael Simona. Lisa is hands on and will be at the end of the phone or emails when you make contact. Lisa has almost 10 years experience with B2B clients and transactions. With this experience alongside her marketing, sales and customer relationship focused background, she is here to help your business achieve their goals. She is passionate about providing a great experience, relevant product advice and ongoing relationships with all our clients. If you are not sure what you are looking for - talk to her and get some recommendations. Whether your initial contact with us is through the website or via phone, we will ensure that you have found the most suitable garment or product for your requirements. If you know what you are looking for that is great! If you don't, then we are here to help. Every situation is different and everyone has a different purpose and market for the items they are looking for. We may be able to find you a more cost efficient way to achieve your results. Once you have found what you are looking for, we will quote based on your printing requirements and advise on a time frame if you have not specified one. We will then organise a proof to be sent to you to check that it is what you are looking for before we confirm the order. Once the proof has been approved we then submit your order. How many positions on the item are being printed? No of colours in the print? Do you have the artwork ready to submit? You can select the items you would like quotes on with sizing that you are looking for. If you can provide the information above as part of this process - we will endeavour to have a finished quote to you within 24 hours. If you want us to provide you options based on your priorities when picking a garment or product (e.g. budget or usage) then please let us know so we can provide quotes on alternatives where required. Please note in order to quote accurately for embroidery we will need to see your artwork as this is determined by colours and number of stitches required.